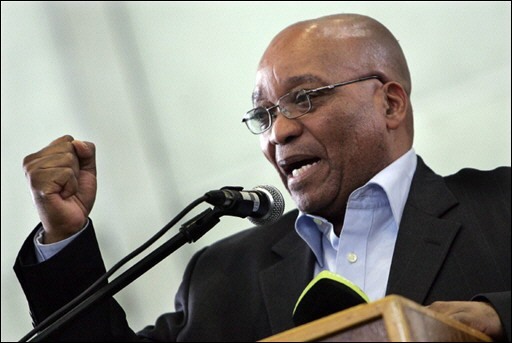 COMRADE ZUMA, YOUR TIME STARTS NOW! I turned to you when information reached me before the 1994 elections that civil war was planned and would occur as soon as the ANC won the elections. You turned to President Mandela, and it is my belief that in a small way, we contributed towards averting the disaster that threatened our country. I thank you for that. I turn to you again at this moment in our history because another disaster is looming. Yes, the people of South Africa have given the ANC an overwhelming mandate to rule. Some of us may view this victory as a blank cheque to reward ourselves with positions and wealth. Personally, I see this resounding victory as a huge bill that we have to pay to the people of South Africa, the poorest of the poor. We have to settle this bill Nxamalala. If we do not settle this bill, the disaster will happen. I will not presume to coach the President of South Africa how to do his job. I know, however, that you are a President that even ordinary members of the ANC may voice their concerns to, knowing that their concerns will not be ignored. For the first time since we returned to our country, old soldiers like us feel free to write to our President and state what concerns us deeply. You did not join the liberation movement because your father was already in the movement. You were not born into the political aristocracy; I was not either. We each went into the liberation movement because we felt inside ourselves that a nation was oppressed and exploited, and had to be freed. We, together with all the freedom-loving people of this country, made the necessary sacrifices and inputs, and achieved political freedom in 1994. Political freedom, vital as we all know it is, will not pay the bill that ANC owes the nation. At the time when we joined the liberation movement, the penalty of being an ANC member was either death or imprisonment. Indeed many paid this penalty. The stiffness of the penalty, however, tended to be a sifting mechanism. People who joined the movement at that time knew that the key input was sacrifice. Those who were not prepared to sacrifice life stayed away. This ensured, to a great extent, that the volunteers were people who were willing to lay down their lives to free the land. After 1994, all this changed. Joining the ANC these days demands nothing more than just going to the nearest ANC office, paying the membership fee and viola, one is an ANC member. Because the ANC is in government, many members see membership of the ANC as a ladder to positions of power, positions that will open doors to personal wealth. This is the crisis I am referring to, Mr. President. If this culture continues and takes root inside the ANC, in the next election the people of this country will give up on the ANC and seek other alternatives. Something has to be done, urgently. Our people live in shacks, while the President of South Africa lives in Mahlambandlopfu and other opulent houses in the Western Cape. I clapped my hands when I read that you said you will travel South African Airways, and not use the Presidential jet that was bought at the cost of half a billion rands. You said you would do this because you believe it is important to be close to the people, even when you are travelling. Siyabonga Msholozi, stay close to us, the poor. You have risked your life in battle and numerous underground operations to free the land. You have seen men and women die in battle so that this country can be free. You have commanded fighters against superior odds; there were victories and defeats as happens in all wars. You do not have to risk your life now to free us from squalor and grinding poverty. You need to choose the best commanders, purely on the basis of ability to execute, give them clear instructions and supervise their performance, as you have done in battle. We know, unlike some, that you are supremely qualified to carry out the task that you have before you now. I went to your office in 2004 and asked you a blunt question, and you gave me a true answer. I asked you whether it was true that you had taken a bribe from Schabir amounting to R1.2 million rand. In your culture and mine, a leader tells no lies, umlomo ongathethimanga. I came away from that meeting with the truth, and recent events have proven that you spoke the truth. I thank you Nxamalala. We have followed you through the numerous court appearances where attempts were being made to brand you as a felon and a malefactor. In the end, the truth came out. We salute you Mr. President. You will inherit a country that for many years has accumulated debt to the people that gave the ANC a mandate. Some delivery has taken place, but it has been too little. Your slogan that TOGETHER WE CAN DO MORE is spot on. We need to do more. It is our only guarantee that in the next election our people will again return us to power. Celebrating 15 years of democracy is not appropriate if the bucket system is still in place. It is inappropriate if we are still a nation of shack-dwellers. It is inappropriate if we do not have skills, which means we cannot even be employed in the jobs that are available. We plead with you Mr.President not to play the Foreign Minister, and spend more time solving African and global problems, while we pine for your presence in South Africa. Your stature in the world stage will be larger if everybody out there knows that you are solving the problems of the people of South Africa. Do not be like that township father who buys everybody a drink in a shebeen, while the wife and children have no food in the house. We now have the son of a garden boy and a kitchen girl at the head of our government. Surely, that must mean something! We have a President who never had the benefit of a formal education because his parents were too poor to give him one. That tells us that he will be more sympathetic to millions of children out there whose parents cannot pay fees for the education of their children. Whereas others see your lack of formal education as a deficiency, to us it says we have one now who knows the privation of not being able to afford an education. Your personal disadvantage will translate itself into the advantage of others, for you know very well how painful it was to be a cattle and goat herd when other boys went to school. You have experienced the harshness and the injustice of the South African judicial system, when you were struggling for freedom and after 1994. You have been dragged before the courts of this country on trumped up charges, and you were made to look like a felon in the eyes of the world. Some judges did their job purely as judges and dismissed the false accusations. There have been those who condoned the allegations against you, even while you stated that a political motive was behind your legal problems. We stood there and wondered what the outcome would be, until evidence surfaced that your prosecutors were men who were motivated and instructed at a high political stratum. Nxamalala! Give us a clean and independent prosecutorial and judicial structure. We have seen our people move in their millions from the rural areas to the cities, in search of economic opportunities. The rural-urban migration can only be solved if our government, as you have promised, puts in place a rural economic development programme. We need land, Nxamalala. White farmers and their offspring do not migrate to the cities, because they have economic opportunities in the rural areas of our country. We ask that we be given the same, nothing more. Our laws and constitution have been hailed as one of the best in the world. Some of us feel that our constitution says very little about African values and norms. It says children have rights, but it does not tell us what responsibilities children have towards their parents, teachers and society at large. Our children are developing into monsters who understand that society is their playground, a playground where there are no rules. We were not raised that way. We had clear responsibilities that we failed to carry out on pain of punishment. That is why we are the men and women that we are. In May you will be the President of this Republic. You will from that moment onwards become everybody’s President, including Helen Zille who insists that you are a felon. We understand this. We do not ask that you disadvantage the white people of this country. We ask that you should not advantage them at our expense, as has happened since 1994. We have watched the ANC government trying to ingratiate itself with Western countries and whites in South Africa at our expense. All we ask Mr. President is that we should not be treated as illegitimate children in this marriage of different races. The Arms Deal is your business Mr. President; we will not tell you how to handle that. You know best, specifically because you have been made the villain in this matter. We are curious what is contained in the tapes that led to the charges being dropped Mr. President, but we will leave that to you sir, to disclose or not, at your discretion. Thank you. As a member of the Luthuli Detachment, a veteran of the Wankie Campaign and as a law-abiding citizen of South Africa, I wish to salute you Mr. President, and pledge my loyalty to the Country, its people and the Constitution. Amandla! <?xml:namespace prefix = o ns = "urn:schemas-microsoft-com:office:office" />Thula Bopela is a former soldier with the ANC military wing Umkhonto we Sizwe.